The panel at the “Exploring Mental Health in the APIDA Experience” event in Witherspoon Student Center speak on the stigmatization of mental health on Monday, April 1, 2019. With the various intersections that makes up people’s identities comes their varied experiences with mental health. Across different cultures, religions, races, sexualities and gender identities, there are a range of expectations and stereotypes people have to battle, and that battle can wage a war against good mental health. “Exploring Mental Health in the APIDA Experience” was a panel and small group discussion in which members of NC State’s Asian Pacific Islander Desi American (APIDA) community shared their perspectives on the intersections between their identities and mental health, and unpacked the ideas surrounding mental illnesses in their community. 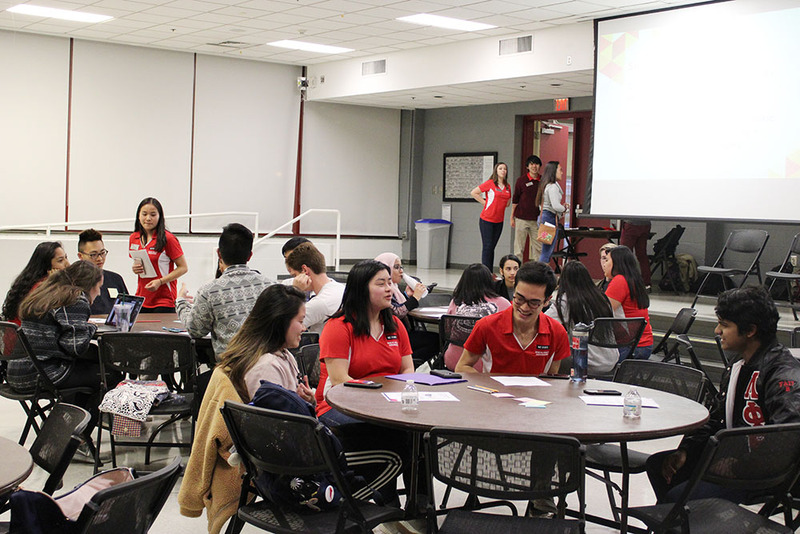 The discussion was a part of APIDA Heritage Month and hosted by the Counseling Center and Mental Health Ambassadors on April 1 in Witherspoon Student Center. 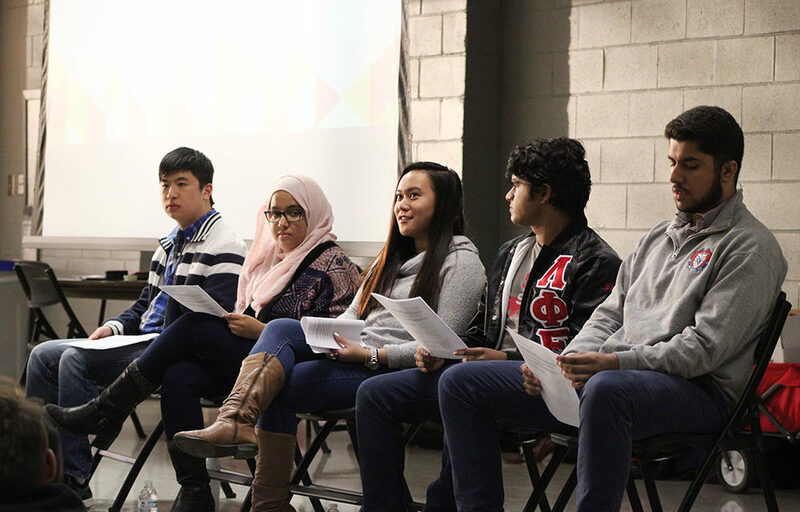 There were five panelists from different identities across the APIDA community: Danyaal Buttar, a third-year studying human biology and the president of the Gamma Chapter of Delta Sigma Iota Fraternity, Inc.; Jonathan Chen, a second-year studying psychology and theater; Liyan Khan, a third-year studying Spanish education; Pauline Bulala, a third-year studying psychology and nutrition; and Vishaal Pillai, a second-year studying business administration and the external vice president of Lambda Phi Epsilon. The event started with their experiences of the APIDA community on campus. For some panelists, like Pillai and Chen, their arrival to NC State exposed them to this community deeply for the first time. Bulala recalled how she couldn’t find any active Filipino-American clubs and organizations when she came to campus in 2017, so she aided in re-creating the Filipino American Student Association. The questions surrounding mental health took the discussion into many realms. In one instance, they shared an array of perspectives about how friends and family members impacted their mental health journeys. Khan expressed that her parents were very supportive: “My family has been my biggest support through many of my experiences. High school was really tough on me, specifically junior year. My senior year, my dad really helped me out and took me to counseling. Conversely, Chen found his friends to be a more solid support system. The cultural barriers Chen mentioned were espoused further into the conversation, and illuminated the complicated ideas people have about mental health. Several of the panelists relayed how the pressure to succeed and maintain a good reputation makes it difficult for people to participate in the conversation. “It’s a huge problem and a lot of people have it,” Buttar said. They’ve also had instances where they found people close to them held misconceptions about how to overcome issues with mental health. “As a Taiwanese American, what I knew about mental illness was that it’s just a kind of attitude,” Chen shared, “If I told my mom about anxiousness and depression, she’d say, ‘You just need to change your attitude, and you’ll be okay.’ It wasn’t until high school that I began to develop a better understanding of what mental illness was. But they also highlighted how these pressures don’t exist in a vacuum, explaining how the ideal standards of the larger American society impact them as well. But through all this unpacking, they also shed light on the positive outcomes that came out of their experiences. Theater had become Chen’s outlet through which he could acknowledge and process his struggles, and several of the panelists found that learning about their family histories, language and heritage aided them in balancing their identities. In one of Bulala’s anecdotes, she talked about how in becoming an orientation leader, she served as representation for other incoming Filipino students and helped connect them to campus organizations. “I feel really proud,” Bulala said. One major commonality shared between the panelists was the need to reduce the stigma against mental health in their community via open dialogue and supporting each other when help is needed. By having more conversations with family members, friends and the people around you, knowledge about mental illnesses can become more accessible and the conversation more common.